In Fort Davis at the new Jeff Davis County Clerk’s Office, 111 North State Street, weekdays from 9 am to noon, and from 1-5 pm. In Marfa at the Presidio County Courthouse, 301 North Highland Avenue, weekdays from 8 am to noon, and 1-5 pm. In Presidio at the Presidio County Annex, 300 East O’Reilly Street. In Alpine at the Brewster County Tax Office, 107 West Avenue E (the old post office building,) weekdays from 9 am to 5 pm. The Brewster County office will be open until 7 pm on Thursday, November 1, and Friday, November 2. The last day to apply for ballot by mail in Brewster County is Tuesday, October 30. Election Day is Tuesday, November 6. 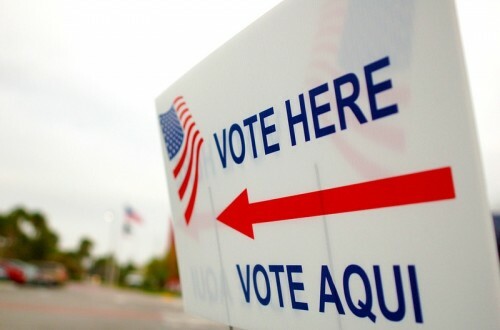 For more information on voter’s registration, early voting and voting on Election Day, visit http://www.votetexas.gov/.